Almost everyone knows about the charity called, Meals on Wheels. These are the programs that bring food to elderly and other home-bound people who otherwise might not be able to eat, live alone, or worse. 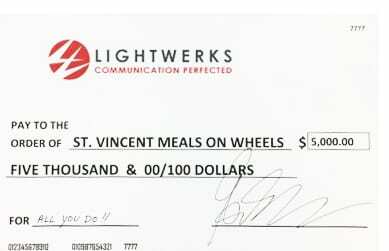 While we’ve been life-long supporters of this cause (David used to participate in “Meals on HEELS” when he lived in New York City), we have really upped our support over recent years and have, indeed made St. Vincent Meals on Wheels (STVMOW), our official corporate charity at LightWerks. Why St. Vincent Meals on Wheels? Well, it turns out that each Meals on Wheels program is independently run, and St. Vincent Meals on Wheels, started and still driven by Sister Alice Marie Quinn (everyone calls her “Sam”), is the only program in the United States funded completely by private donations. Why? Because Sister Sam knew that accepting public (i.e. government) money meant she would be told who she could, and most tragically, couldn’t help. She never wanted to say “no” to anyone in need and so, since July 7, 1977, Sam and STVMOW has been feeding people based on the donations of individuals, families, companies, and foundations. She has always operated under the faith that, “God will provide”, and so it has been for almost half a century. Gina, our President, is the former President, and current Board Member of Cuisine a Roulette, STVMOW’s Fundraising and Volunteer arm, and a current Board Member of the Advisory Board to STVMOW. 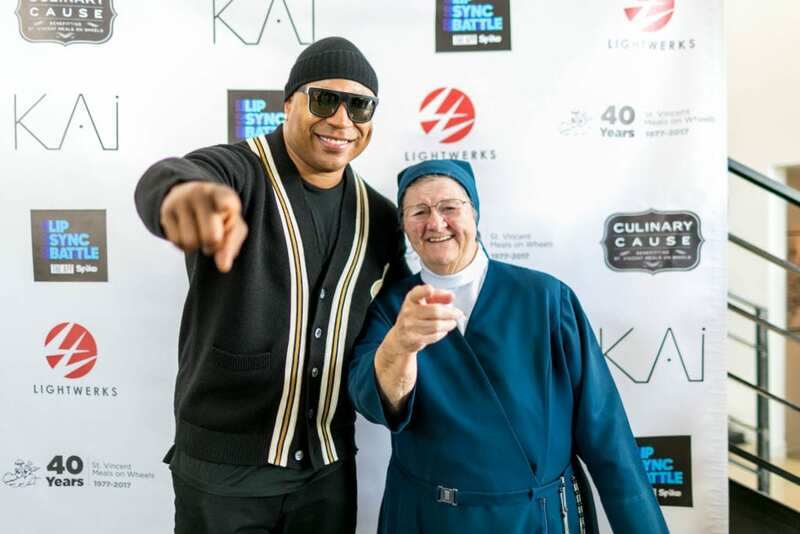 LightWerks supports and sponsors special events throughout the year, like LL COOL J’s STVMOW Lip Synch Event, Culinary Cause Dinners, and many others. We do our Amazon purchases using the AmazonSmile charitiable program. 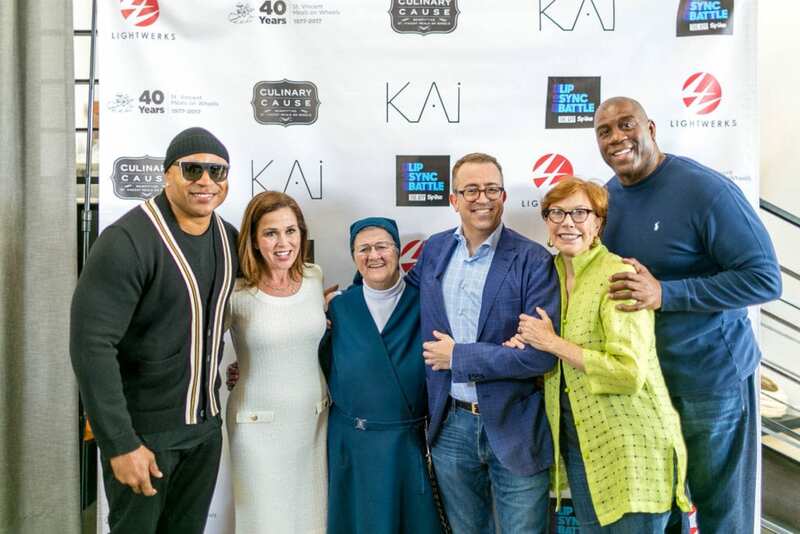 Members of our team volunteer at the STVMOW kitchen, deliver meals throughout the year, and participate in Cuisine’s fundraising events. Unfortunately, the need for the services offered by the various Meals on Wheels programs continues to grow, and at the same time, due to changing fiscal priorities in Washington, the public funding for such programs is under threat. While this doesn’t threaten the St. Vincent program directly, it does add to the burden since Sister Sam still never says no when asked to help. STVMOW picks up the routes of other Meals on Wheels programs when they’re unable to do so, and will likely need to do more in the future. So will we all.